We can supply various types of Turbine for capacity ranging from 5KW to 30KW. 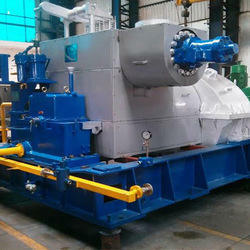 Advanced Technocracy Inc. is Manufacturer, Exporter & Supplier of Steam Turbine and Condenser Set. We are looking for queries from Indonesia, Philippines, Thailand, South America & Malaysia. 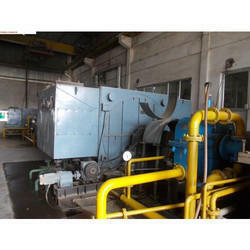 We deals in complete range of used steam turbine of all type like condensing, back pressure and extraction-condensing of all output range and pressure specifications, complete with all attachments and auxiliaries as per client's requirements. We also supply the same on turnkey basis inclusive of erection and performance guaranty basis. Our experienced specialists have track record with decades of proven ability in erection and commissioning ofTurbines, Generators, Compressors, Gearboxes, and Pumps, at various Power Plants, Fertilizers, Refineries and other industries all over India. complete LP module consisting of inner outer casing, inner inner casing, outer casing front walls and longitudinal girders and bearing pedestals with precision fabrication, machining and mockup assembly.